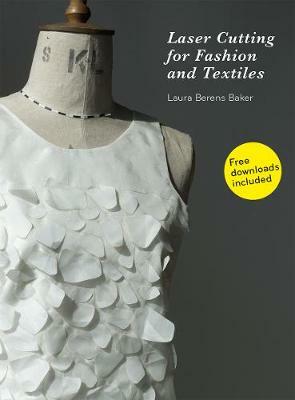 In this book, Laura Berens Baker provides 14 inspirational projects that demonstrate how to use laser cutting equihpment to produce original designs for garments and accessories. The book explores how to engineer designs and harness laser technology to upcycle fabrics, replicating traditional finishes as well as developing new ones. Each project is created in Adobe Illustrator and includes step-by-step instructions for creating the design for the laser cutter, followed by instructions for cutting and sewing. Extra material available to download from the Laurence King website includes patterns and templates for the designs. Illustrated with specially commissioned photography, Laser Cutting for Fashion and Textiles offers a unique insight for fashion, textile and accessory designers into how to use this latest technology.